Also known as Courgette, is a small summer squash that has its ancestry in the Americas. It can either be yellow, green or light green. 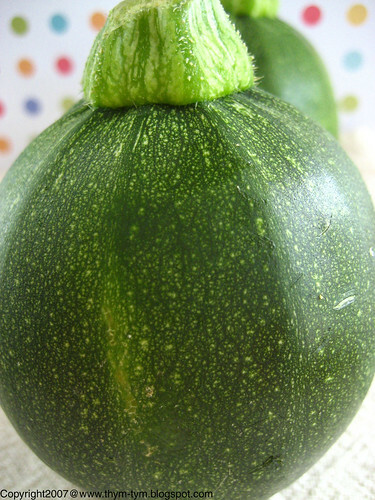 The word zucchini comes from the Italian word zucchino, meaning a small squash. It is one of the rare vegetables that can be found in savory dishes as well as sweet dishes and breads. The zucchini flowers are also comestible. With pistils removed (for female flowers) and stamens removed (for male flowers). The male flower is the one with a thin stem, and it is usually the one used for cooking, as the female flower is responsible for “giving birth” to the zucchini. Remove any insect from inside the flowers and clean gently with a damp kitchen towel, as they are very delicate. Pat dry, if needed, and you can serve them in different ways: deep fried as beignets or tempura, stuffed, in omelets, sautéed, baked, in soups or pasta or rice. Firm to the touch, smooth, with a nice shiny color, preferably thin and no more than 6 inches long. Bigger zucchinis tend to be tougher, bitter and mealy. Store them in a plastic bag in the refrigerator crisp drawer for up to four days. Do not wash them until ready to use. Softness is a sign of deterioration. Slice the zucchinis and blanch them for two minutes. Shock them in ice cold water to set the color and stop the cooking. Drain and seal in an airtight container or Ziploc bags. They can be kept in the freezer from ten to twelve months. Cook without thawing them. Cook them with a minimum of water added. It is better to steam them instead of boiling them, as they are known to retain a lot of liquid. When in possession of young zucchinis, no need to cook them. Just trim the stem and slice the zucchini into rounds, using a mandolin or a vegetable peeler. Serve as a salad with some fresh thyme and raspberry vinaigrette. Zucchini can be sautéed, baked, stuffed (globe zucchinis are the perfect choice), steamed, grilled, fried (beignets, fritters) and jams. They are considered an important ingredient in the making of Ratatouille, zucchini bread and zucchini and chocolate cupcakes. Whatever dishes you wish turning your zucchinis into, just remember to not overcook or you will end up with a mush. Next week, I will show what I have done with my globe zucchinis. Although it is easy to guess, don’t you think? If you have a favorite zucchini recipe you would like to share, drop it in the comment section. After what, I will randomly choose one of them, which I will be trying, and illustrating on my blog with your name, of course, as the original author. Until next time, have a great weekend my friends. Hi Rose, thanks for that informative post. I love zucchini and Z-flowers. I don't usually eat fried foods, but I do LOVE deep-fried stuffed z-flowers. You have a great weekend too! Thanks for so much great zucchini info. I love these little round ones -- they're just coming into our farmers' markets now. What a fantastic post. I love learning more about produce. un de mes légumes préférés..un peu cher comme celui ci mais adorable ! Yours must be the fourth blog I've come across to talk about these round zuchinis! My favorite way to do zuchinis is on the grill. I slice them long-ways so they are slabs about 1/4" thick, brush them with olive oil, sprinkle on onion salt, and grill until tender. That is the third time this week I have seen these round zuchinni on someone's site. I must go fine them now. Wish I could find those little zucchini squash in my neck of the woods but no such luck. They are great for stuffing them. - Hi Nora, I am glad you enjoyed it. - Lydia, you are very welcome. - Truffle, thank you very much. - Claude, c'est un legume tres versatile. Merci pour ton message. - Nikki, I saw the "zucchini fever" too. Thanks for your recipe. - peabody, run to the market and grab them before they are gone. - Helene, But you have your beatiful pecan tree!